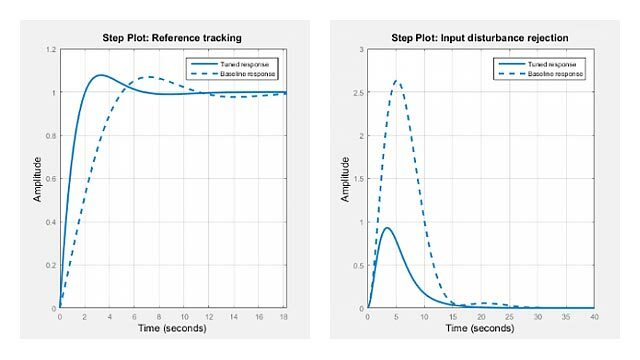 setoptions(h, PlotOpts) sets preferences for response plot using the plot handle. h is the plot handle, PlotOpts is a plot options handle containing information about plot options. Use getoptions, which accepts a plot handle and returns a plot options handle. returns a plot options handle for Bode plots. setoptions(h, PlotOpts, 'Property1', 'value1', ...) first assigns plot properties as defined in @PlotOptions, and then overrides any properties governed by the specified property/value pairs. 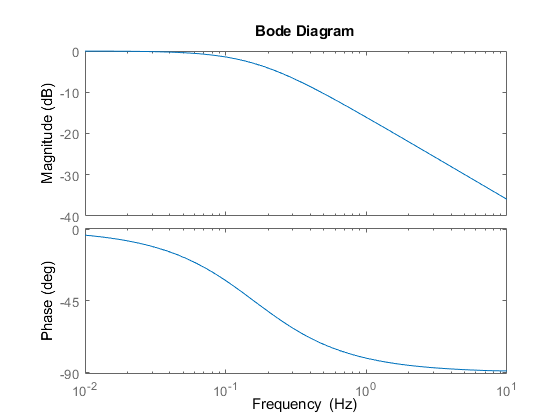 Create a Bode plot with plot handle h.
Create a plot options handle p.
Change frequency units of the plot to Hz. 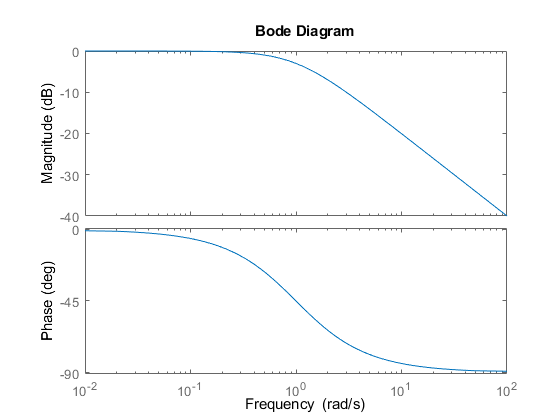 Apply the plot options to the Bode plot.